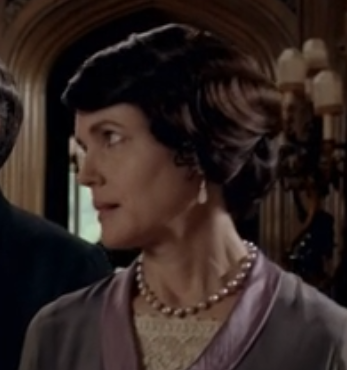 January 6 is the long-awaited North American return of "Downton Abbey", but thanks to a son's technical abilities, I raced through all of Season 3 over the holidays. Inspired and heart-wrenching season (that's all I'll say), with a bonus feature: fabulous pearlwatching in the Abbey and beyond! The pearls cast their timeless effect, lightning the women's faces and flattering evening and daywear. They retain their magic today, though we rarely dress for dinner in magnificent embroideries or attend a cricket match in ecru chiffon. To join the Abbey's beauties, I'd look for a versatile yet 'strong' piece that has something of the unusual about it, but also retains the glow and elegance of the gem. Present day pearls exhibit a wider range of colour and shape than ever before, and you don't need a fortune to afford a stunning choice. Silver-blue baroque akoyas, natural colour in a generous 9mm-9.5mm size, are $522 for an 18-inch necklace, from Pearl Paradise. A white, pink and grey freshwater 8.5-9mm strand from Winterston is on sale till January 20 (or while supplies last) for £215. The whites and pinks are natural, the grey is dyed. 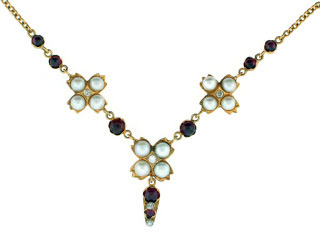 This vintage garnet, pearl and diamond necklace was made thirty years later (ca. 1950) but is decidedly Cora Crawley, charming yet idiosyncratic. Price, $595 at Beladora II. Ninety years after they cozied up to coronets, pearls have stepped beyond the aristocratic realm, beautiful as ever but infinitely more affordable. 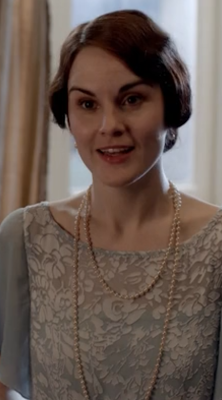 So, beginning Sunday evening, watch away and enjoy, including the parade of pearls! I love the longer ones knotted...I am going to do this soon. Enjoyed the post! That Beladora II necklace is timeless and lovely. Lately I'm drawn to more of the bigger, statement pearls. Great captures of period pearl jewelry. I can hardly wait for DA to return!! I watched Season 3 online too. Including the Christmas special. Yikes. And that's all I will say about that. I love it that you show us the pearls. I can't believe I didn't notice! That last necklace is beautiful, and I wouldn't mind some silver gray babies either:). So looking forward to Sunday when DA begins. 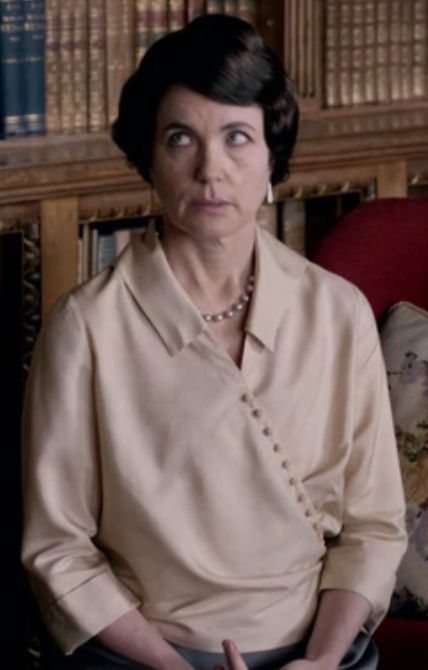 I only wear pearls when I'm dressed very casually, I feel too mumsy in them dressed up. And welcome back. I've been very quiet about DA because I've watched the third season, too. My husband bought me pearls for Christmas. He ordered one strand on line, choosing the diameter (by millimeters) and then the length, which he thought was centimetres, but turned out to be 50 inches. When they arrived he was so disappointed that he went out and bought (locally) an 18 inch strand. I'm keeping both - wearing the longer one knotted or looped. They are cultured pearls, a creamy white that I love. I am addicted to the series and can't wait for Sunday evening. I don't know if you get tired of me leaving the same comment over and over, but I love it when you write about pearls! We are watching Downton Abbey season 3 online too and I never even noticed the pearls! 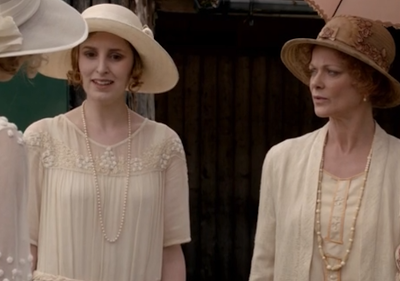 I cannot believe that I missed them but I have been smitten by the wonderful hats that the ladies are wearing and the riveting story line. Pam: Yes, knotted is one of my favourite styles too! 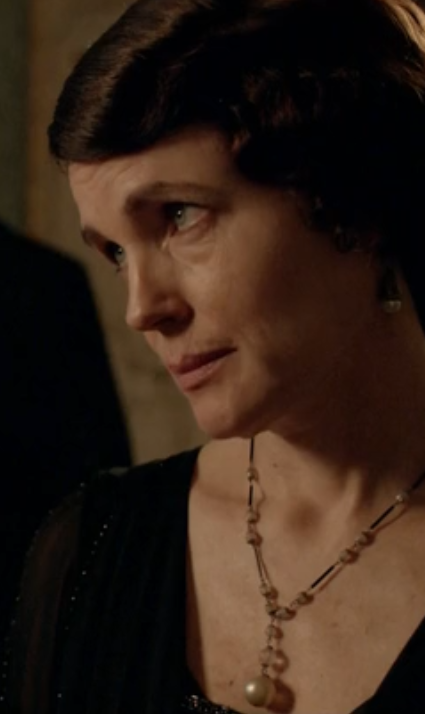 Kristien: Ask your friends not to say anything, it would so change your enjoyment of S2! The colours you describe flatter any skin tone and it would be fun to play with whether you prefer cream or rosé overtones. Generally, follow the undertone in your skin, peach or pink. LPC: There are even more! But if watching more than once, you will see them. Pseu: Tiny pearls have their place (and I've posted on that) but for grown women I usually do not show anything smaller than 9mm. All of which are fun to do! Lorrie Orr: NO problem, honey! BTW nearly all pearls sold today are cultured- or that 50 inch strand of rounds would be the price of a Lamborghini. Chicatanyage: I'm confused as I was thinking the season had already aired in the UK. Season 3 is a blockbuster. rb: I need and appreciate the encouragement, so I'm grateful to hear this! hostess; Just go back and watch again! Yes, the hats are outstanding, as they move into the 20s and away from wartime restrictions. Sigh. 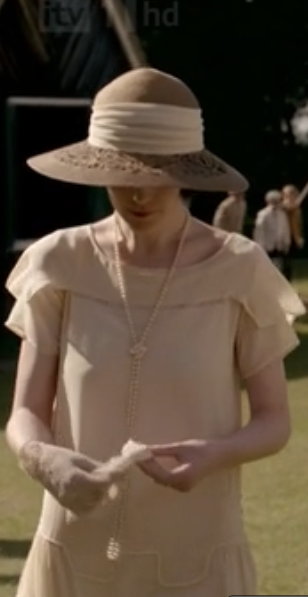 The twenties are my favorite decade, style-wise. I'm looking forward to Downton Abbey starting up again this Sunday, and I too love it when you write about pearls. Happy New Year! Still haven't seen this -- one of these days, I'm going to have to get round to iTun-ing and catching up. This post reminds me that I keep forgetting to post photos of a portrait I snapped in Amsterdam last spring because of its rendition of pearls, thinking of you. . . one of these days. Hi Duchess - The Pearl Paradise blue Akoyas are $522, not $622, for an 18" strand. I actually picked up a strand for Christmas on sale. I'm over 50 and took your advice and went for the largest size. They are stunning and I'm very pleased. sisty: Always a pleasure, thanks! Gretchen: We don't have TV either and gorging, commercial free is such fun. materfamilias: I predict you'd love it and am surprised you have not seen one way or another. Anonymous: Thanks for the correction and enjoy those most beautiful akoyas! I love the Belladora necklace. I sometimes feel Mumsy just being be! And yes, pearls can add to that. I understand about making them a bit different and current. I need to think about doing that with an old strand. I have a newer one that is larger pearls and not just round. I feel a little better in it, but not entirely. 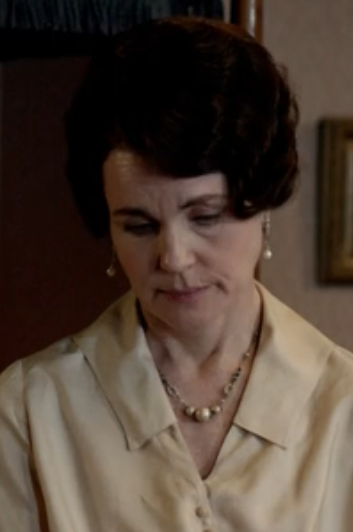 Susan: I'm frustrated I can't drop by and play with your pearls. A reno to your old strand would be so much fun! Watching DA is worth it just for the clothes and jewelry. Thank you for pointing out the pearls. I'll keep an eye out for them when we get around to watching it on iTunes.